This article is a review of LIKE FATHER, LIKE SON. Anyone who caught writer-director Hirokazu Koreeda’s previous project, I WISH – a magnificent film about childhood, must have been anticipating his next. Broadening his scope, LIKE FATHER, LIKE SON is a moving exploration of two disparate families finding themselves inextricably entwined. The situation is unusual to say the least, but is used to consider the nature versus nurture debate, and who we might be as parents. Embarking with an interview. Keita, six years old, the son of Ryota, a successful architect, and mousy, delicate housewife mother Midori (Machiko Ono), is being gently questioned for a place at a prestigious school. Keita answers well, even knowing to fib about the amount of time his father spends looking after him. His parents are an elegant couple, and the family cut a dash. The parents beam with pride at their son’s answers. Back at home we see that domestic life is one of drive. Ryota works hard, and expects the same of his son. There are no evening cartoons for the six year old, it’s piano practice. Ryota, buttoned down, keeps his love and praise under wraps. When we eventually meet his father, only a scene is used to show what went into formulating Ryota. There is still comprehension. The like father like son exploration goes to three generations. The key though is the middle link, Ryota, caught between buried bitterness and the inability to learn from his own disappointments. A letter from the hospital, where Midori gave birth, shatters the Keita-Midori-Ryota harmony. There was a baby swap, and in fact Keita is not biologically related. (The reason once revealed is heartbreaking and anger inducing.) The Nonomiyas have been raising the Saikis child, and vice versa. Not only have the families to negotiate compensation from the hospital, they have to decide whether to swap their sons: Keita and Ryusei. That an exchange is even a possibility surprised me, though that is not what LIKE FATHER, LIKE SON is exploring, rather: Does your own flesh and blood matter more than over half a decade of nurturing? It probably seems like a no-brainer, no matter the anguish of having your progeny raised by another, how could you give up someone who you always thought of as yours? And that is the major problem with the film: For all the hand-wringing and twists and turns the narrative takes, it is that inescapable question that cannot be forgotten. It is testament to the skills of Koreeda and his cast that LIKE FATHER, LIKE SON is not over immediately the audience is aware of the stakes. They use the conundrum to explore love and class and responsibility. A time pressure is set. The families have six months to decide, before elementary school commences. Yudai Saiki (Frankie Lily) is the exact opposite of Ryota. A humble appliance repairman, he is also an affectionate family man. While Midori was unable to have more children, Yukari Saiki (Yoko Maki) has had three. The Saikis’ need for money, and not knowing any lawyers, places them at the mercy of Ryota without them realising it. There then begins a subtle dissection of insecurities. 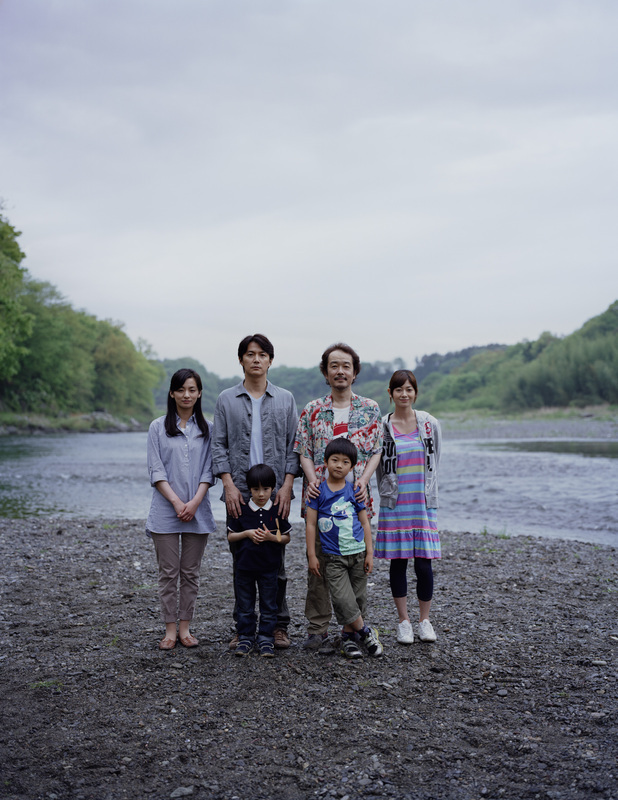 Hirokazu Koreeda is establishing himself as a fascinating creative, gently cataloguing human strengths and weaknesses.